Memories! That is really the only thing that belongs to us. Gnabagangal is a movie that dwells on the memories of a man. A young villager comes to the city with the aim of making it big. But, he loses his focus after falling in love with a girl. He forgets what he actually set out to achieve. Unfortunately, he has to face defeat even in love. With great difficulty he forgets what happened and tries to reclaim everything that he had let go for his love to succeed. forte, the lyrics. So, one would expect the movie to have a poetic touch about it. Directed by Jeevan, the movie has Sreedevika as Pa. Vijay’s heroine. She plays a North Indian girl in the movie and to her credit has dubbed for herself. The movie is said to be a very clean and neat story of a young man, with absolutely no glamour. 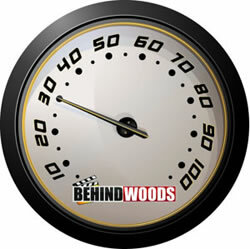 In fact, the makers claimed that Pa. Vijay has ‘not touched the heroine’ in any part of the movie. Gnabagangal has been shot in a wide range of locations ranging from Ooty, Madurai, Salem, Delhi an Agra. The climax scene of the film, which was shot for three days on the premises of the Taj Mahal is a highlight of the movie. When was the last time that a movie’s climax was shot at the Taj Mahal? A set replicating a huge bungalow in Haridwar and a set in front of the Pariyoor Amman temple are other highlights of the film that have come out very well. Music for Gnabagangal has been scored by James Vick. Coming from the pen of an acclaimed lyricist, having him in the lead, one really expects Gnabangal to be a memorable film. Let’s hope that Pa. Vijay’s poetic touch remains intact in the story too.